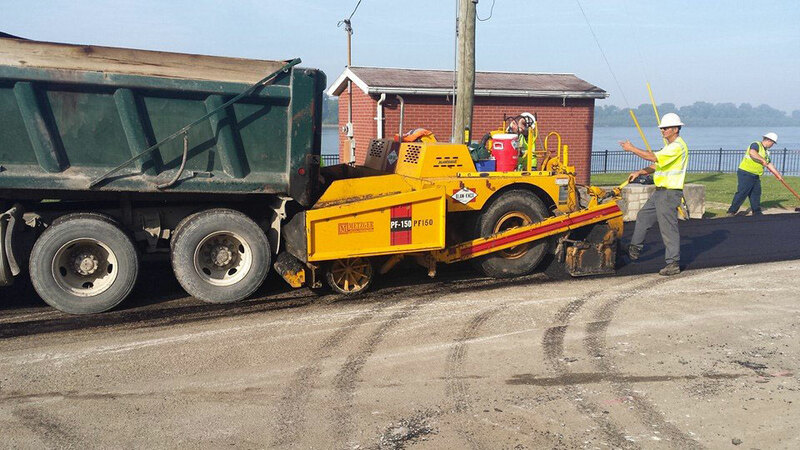 Newburgh, Lynnville, Dale, Santa Clause, or Darmstadt, it is likely that you have driven on pavement produced and paved by Metzger Construction. Metzger Construction is one of the oldest and to our knowledge the last remaining asphalt contractor that is still 100% family owned and operated. Our team has decades of experience and knowledge that we apply to every resurface, reconstruction, or new construction job. After the surfaces are prepped, a tack coat (oil) is usually applied to the old blacktop. Next, trucks arrive to the job carrying blacktop made from a hot mix plant. This material is dumped into a paver, paved, and then compacted by a roller. The final steps may includes adding new rock to the shoulder or edge of the road, striping, and installing bumper blocks or signs. Some roads are beyond repair and require reconstruction in order to accommodate growing traffic . Many of these types of jobs require complete or partial excavation of the old road. They also may require the addition of curb, drainage pipes, sidewalks, etc. Each reconstruction may demand different materials and specifications. For this reason, in most cases engineering firms are tasked with the design. 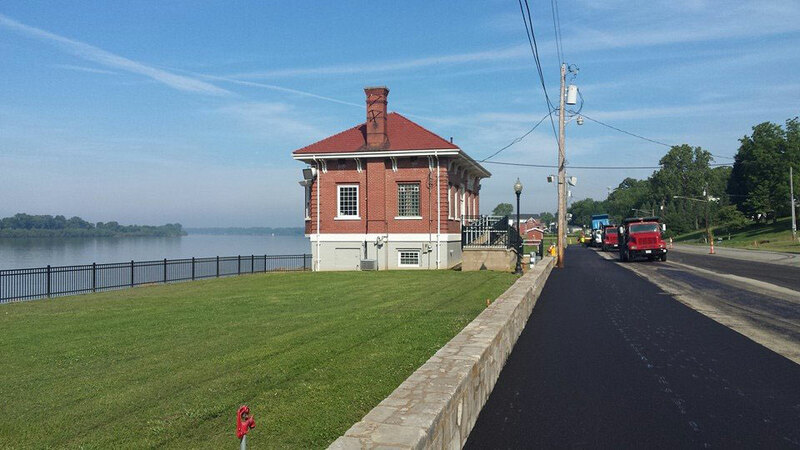 Metzger Construction is familiar and experienced with many if not all steps in a road and drainage reconstruction process and are operators and laborers are equipped with the skill to complete the job on time.